Leonardo DiCaprio is in talks to star in Guillermo del Toro's adaptation of William Lindsay Gresham's novel ""Nightmare Alley"", which was previosuly adapted into the 1947 film of the same name starring Tyrone Powell and Joan Blondell. The story follows an ambitious con-man who teams up with a female psychiatrist who is even more corrupt than he is. While their mentalist scam is effective, eventually she turns the tables on him. Del Toro penned the script alongside Kim Morgan, and he will reteam with "The Shape of Water" studio Fox Searchlight, which has acquired worldwide distribution rights. Production is set to begin this fall as casting is underway. 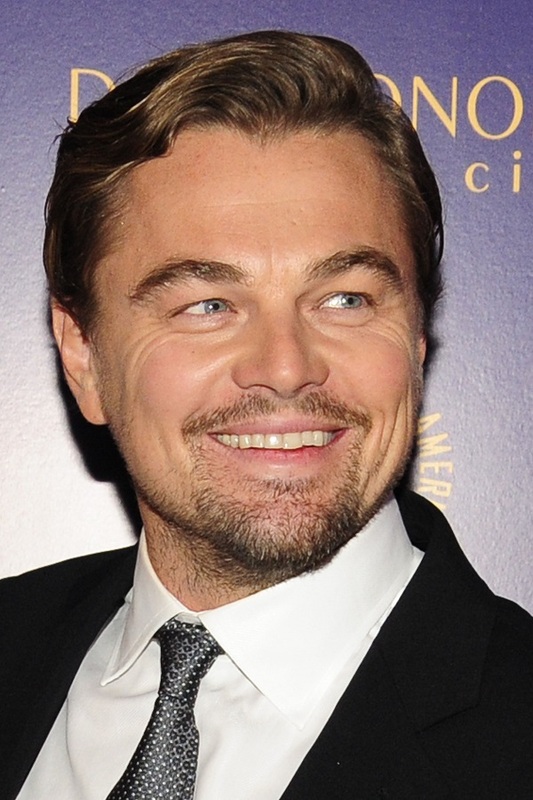 DiCaprio's last acting project was 2015's "The Revenant", which earned him an Oscar. He can also be seen this year in Quentin Tarantino's "Once Upon a Time in Hollywood". The true story football drama "Brian Banks" starring Aldis Hodge ("Straight Outta Compon") and Greg Kinnear ("Little Miss Sunshine"). Hulu's upcoming miniseries "Catch-22" based on Joseph Heller's 1961 satirical World War II novel of the same name. The series stars Christopher Abbott, George Clooney, Kyle Chandler and Hugh Laurie. The new DC Universe series "Swamp Thing" based on the iconic DC Comics character created by Len Wein and Bernie Wrightson. The horror anthology film "Nightmare Cinema" which features five segments directed by acclaimed helmers Joe Dante ("Gremlins"), David Slade ("30 Days of Night"), Mick Garris ("The Stand"), Alejandro Brugues ("Juan of the Dead") and Ryuhei Kitamura ("No One Lives"). The indie crime thriller "A Violent Separation" starring Brenton Thwaites ("Pirates of the Caribbean: Dead Men Tell No Tales"), Ben Robson ("Animal Kingdom"), Alycia Debnam-Carey ("Fear the Walking Dead"), and Claire Holt ("The Vampire Diaries"). "Under the Silver Lake" is a crime dramedy written and directed by David Robert Mitchell ("It Follows"). The film was nominated for the Palme d'Or at the 2018 Cannes Film Festival. The film stars Andrew Garfield as Sam, a disenchanted 33-year-old who finds a mysterious woman (Riley Keough) swimming in his apartment's pool one night. When she disappears the next morning, Sam sets off across LA to find her, leading him into the murkiest depths of mystery, scandal, and conspiracy in the City of Angels. Topher Grace, Callie Hernandez, Riki Lindhome, Zosia Mamet and Grace Van Patten co-star. "Under the Silver Lake" received a limited release in theaters on April 19, 2019. The ten-episode second season of the "Karate Kid" spinoff/sequel series "Cobra Kai" has been released on April 24, 2019 via YouTube Premium. Created by Jon Hurwitz, Hayden Schlossberg and Josh Heald, the series follows a down-and-out Johnny Lawrence (William Zabka), who seeks redemption by reopening the infamous Cobra Kai karate dojo, reigniting his rivalry with a now successful Daniel LaRusso (Ralph Macchio), who has been struggling to maintain balance in his life without the guidance of his now-deceased mentor, Mr. Miyagi. Video Game Description: Dive into a neon seascape as a dolphin with enhanced echolocation powers and an AI partner takes you into a world transformed by water. Solve puzzles, hunt for treasure, meet legendary sea creatures, shut down the remnants of mankind's legacy, and bring the bleached underwater world back to life! Product Description: Cosmo Carboni (Stallone) and his two brothers could take anything that Hell's Kitchen had to dish out — but they had a dream of getting out and making it big. The exit signs point to Paradise Alley, a sleazy private club where raucous wrestling matches with big purses are the order of the day. When younger brother Victor (Lee Canalito) steps into the ring, it appears their shared dream might finally become a reality ... but tensions between Cosmo, Victor, and brother Lenny (Armand Assante, I, The Jury) might rip the family apart first. Product Description: An intriguing invitation brings six strangers together. Initially, they think they have gathered for a highly immersive escape room, but they soon make the sickening discovery that they are pawns in a sadistic game of life and death. Together, they move from one terrifying scenario to the next as they find clues and solve puzzles. But the players soon learn that exposing their darkest secrets may hold the key to survive. Jennifer Lopez is set to reunite with STX Entertainment for the studio's upcoming romantic comedy "Marry Me". Based on a graphic novel by Bobby Crosby, the film will star Lopez as a pop superstar who moments before marrying her rock star fiancé at Madison Square Garden, finds out that he was cheating with her assistant. She then proceeds to have a spontaneous meltdown on stage and picks a random math teacher out of the crowd to marry instead. The film will be directed by TV helmer Kat Coiro ("Shameless", "It's Always Sunny in Philadelphia") from a script by John Rogers ("Transformers") and Tami Sagher ("30 Rock"), with a rewrite by Harper Dill. It is being described as an "exploration of relationships, expectations and destiny" and a cross between "Notting Hill" and "The Proposal". Owen Wilson is in talks to join the cast as the math teacher. This is the third collaboration between STX, Lopez and producers Elaine Goldsmith-Thomas and Benny Medina, following last year's "Second Act" and the upcoming "Hustlers". The latter will be released on Setember 13, 2019 and also stars Constance Wu, Lili Reinhart, Julia Stiles and Madeline Brewer. Lopez is also set to star in the TV live production of the Broadway musical "Bye Bye Birdie! ".